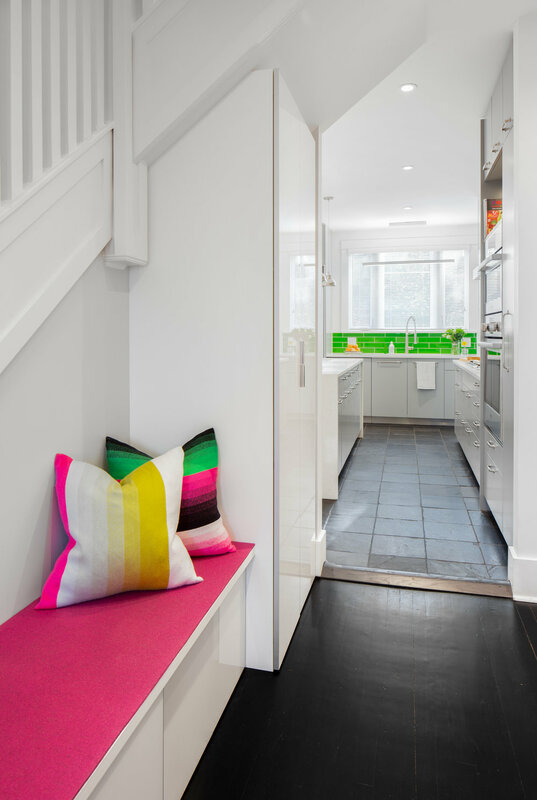 The rejuvenation of this 1912 home in Kensington-Cedar Cottage was beautifully designed with a muted charcoal palette, accentuated with vivid bursts of colour. 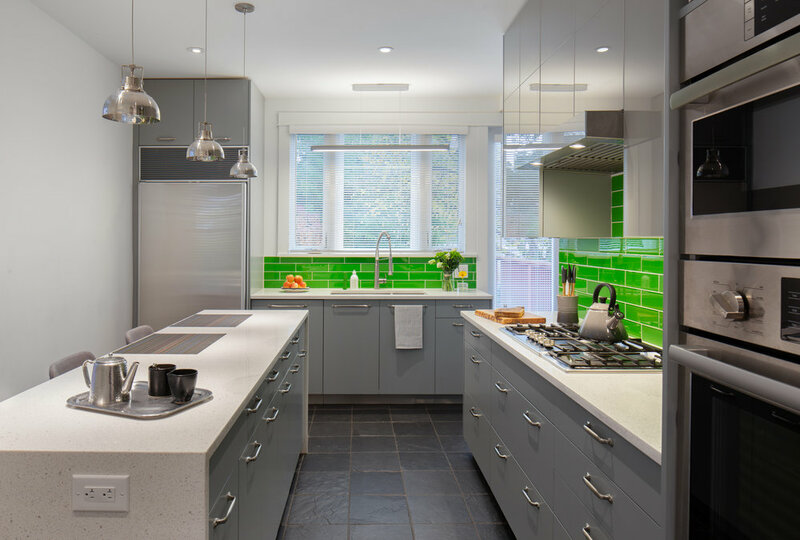 Black-stained original fir floors with slate in the kitchen create the perfect grounding elements for this vibrant space. 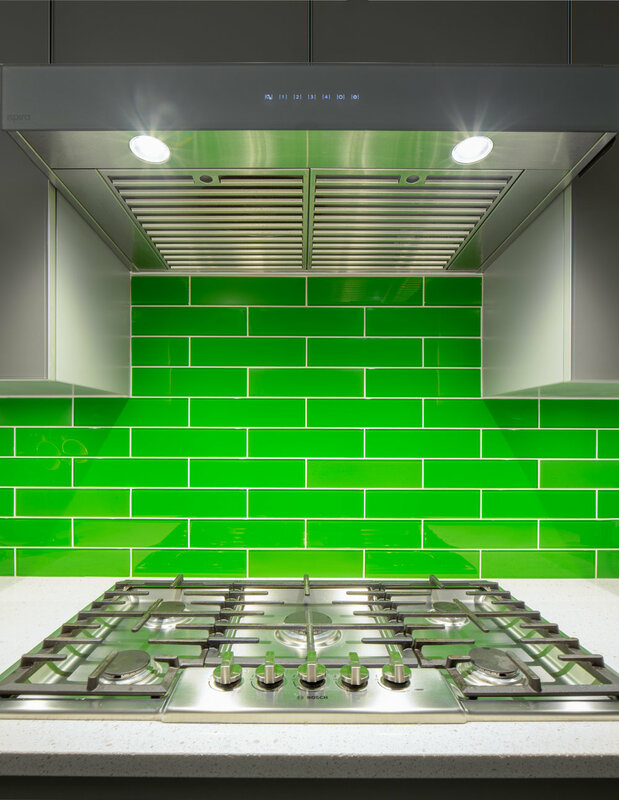 The dark grey kitchen millwork and white quartz counters set the stage for the colourful play of the lime-green backsplash tile. 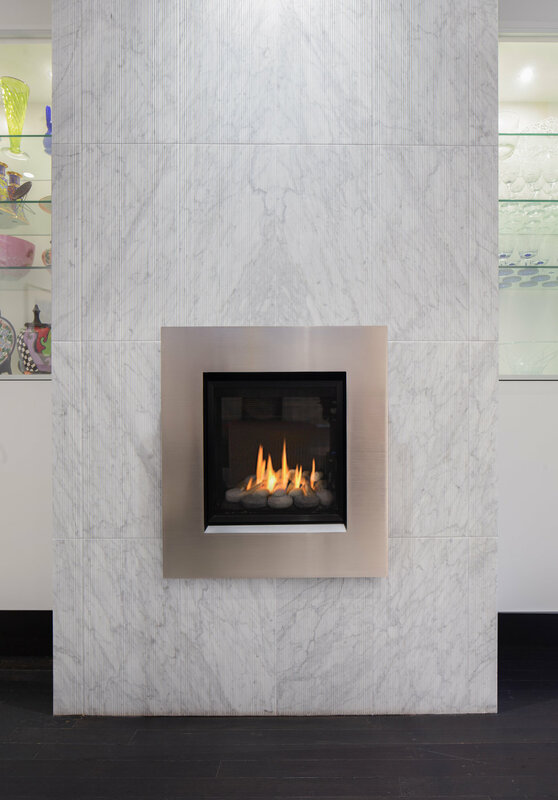 A front entry bench topped with an unmissable fuscia cushion continues the vibrant theme, while the dining room features a subtle fireplace with a surround of rippled Carrera marble arranged in a diamond vein pattern. 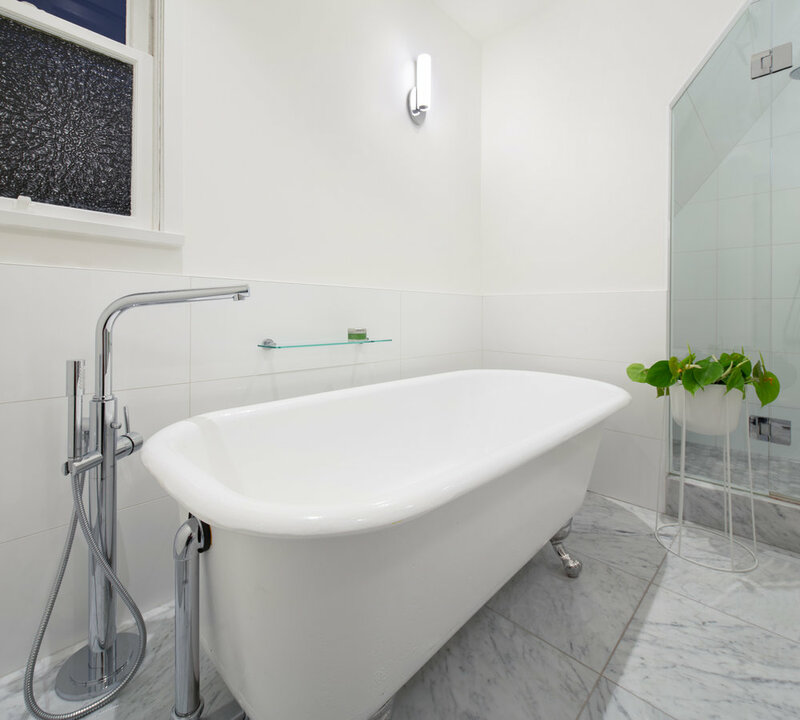 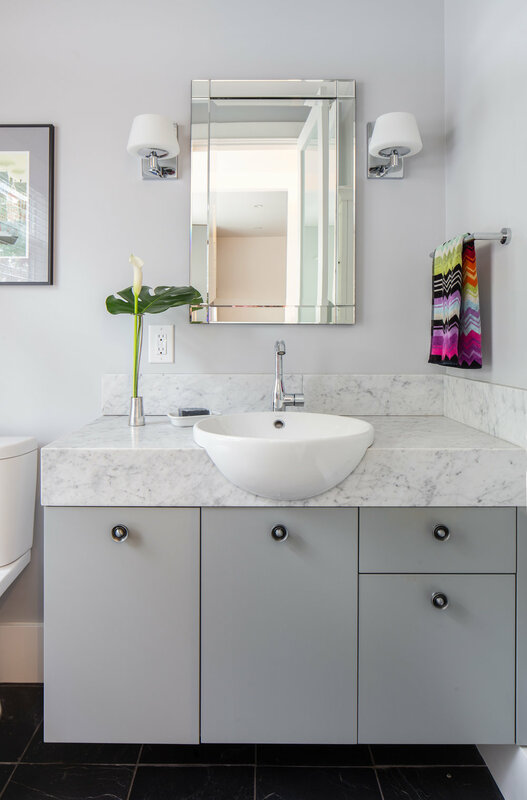 Marble elements continue throughout the bathrooms, in the floor tile, shower surround and counters, while the vintage clawfoot tub was repaired and powdercoated. 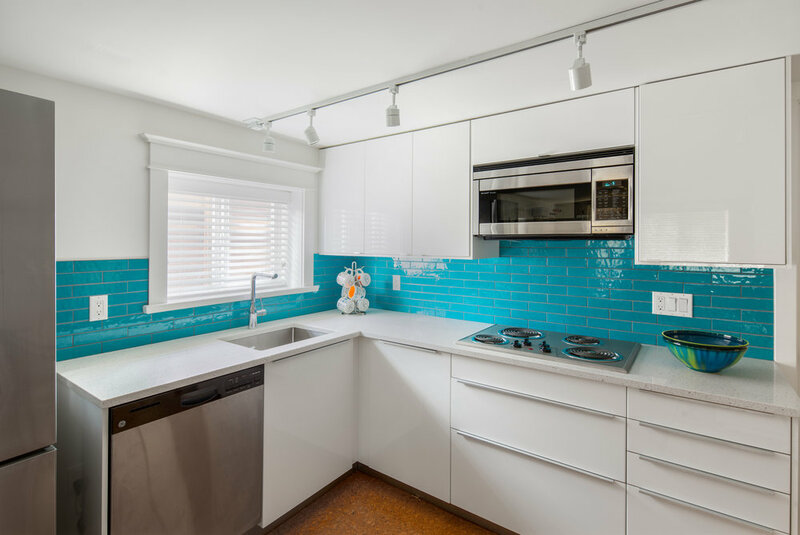 Elsewhere, leaded glass windows were repaired and finished with wooden shutters, and in the basement suite the colour continues with vibrant turquoise backsplash and bright cork flooring.